Every block should have a community farm stand. We need to share the bounty of our backyard urban farms, with fresh eggs, honey, crops, flowers and citrus. 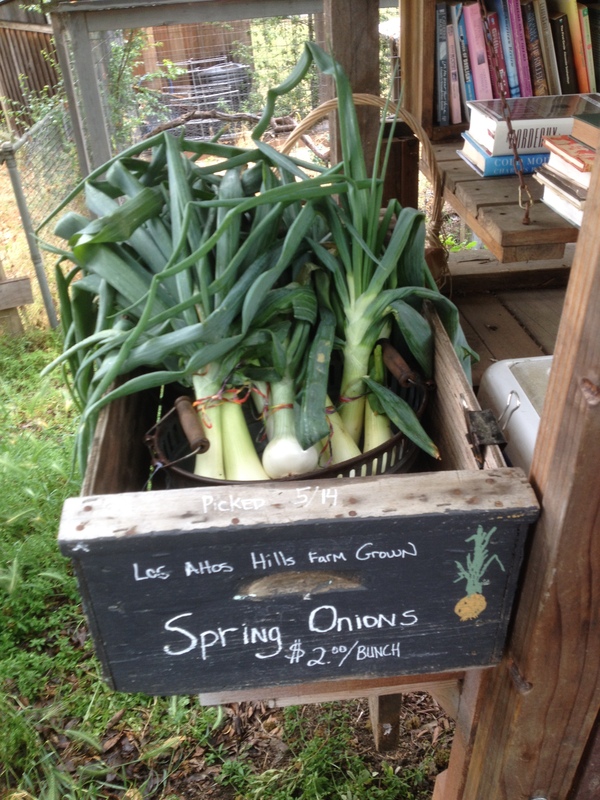 A place to share or sell everything including my extra eggs, honey, apples, onions, lavender, tomatoes, seedlings, oranges, etc. A integrated cooler for eggs and produce that can use refrigeration or protected from critters. I built this farm stand out of some recycled lumber and an old book case / cabinet and some simple metal roofing from Home Depot. I encourage others who have backyard eggs and other bounty they need to share or sell to build their own farm stand in their neighborhood. 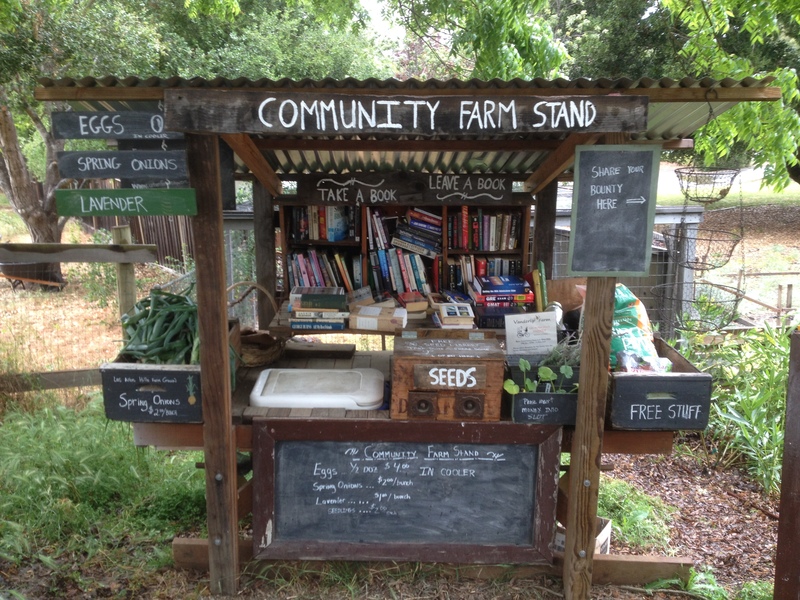 If you think the farm stand might be an issue, start with a lending library and get neighborhood acceptance and add produce and your backyard farm products slowly. Previous Tour De Coop 2015 – Sneak preview of coops and event!